sizing | DressCodeClothing.com's Official Blog. Vans has been in the business of making sweet shoes for years. 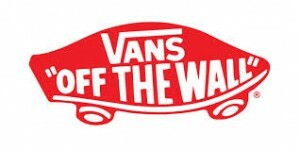 If you are looking to invest in your first pair of vans shoes, this helpful guide will aim to help find the perfect fit pair of Vans for you. Vans shoes claim to run “true to size.” What does this mean? 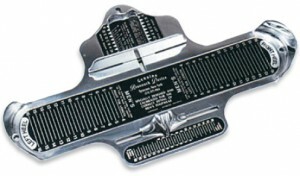 Vans are sized according to the US standard which is determined on a Brannock device. This means that the shoes don’t fit smaller or larger than a standard shoe. So the best way to choose your vans shoe would be either get your shoe size measured or alternatively if you usually buy size 9 in most shoe brands, then a Vans 9 would fit the same. In addition, all Vans Classic shoes come in men’s sizing and women’s sizing (regardless if the style seems to be women’s style with a bunch of sparkles and pink ribbons on it). Basically, the company does not gender bias its customers. If you are a dude and enjoy plenty of glitter and ribbons on your shoe– that is your business. And if you are the chica that wants to roll with the chunkiest skate shoe in the industry. Well, have a blast! This is why on our site you will see all vans shoes listed with the mens size and the women’s size equivalent. 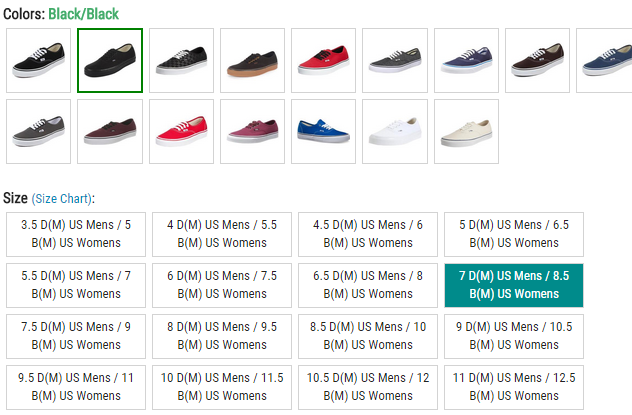 Sizes displayed on our site depicting both the mens and womens sizing equivalents. In some cases it is also important to know the conversion between US, UK, and Mexico and European sizes. Here is a nifty size conversion chart direct from vans that may be helpful for our friends outside the USA. The first column displays the US Size. Some Vans styles can waver a bit from true-to-size. 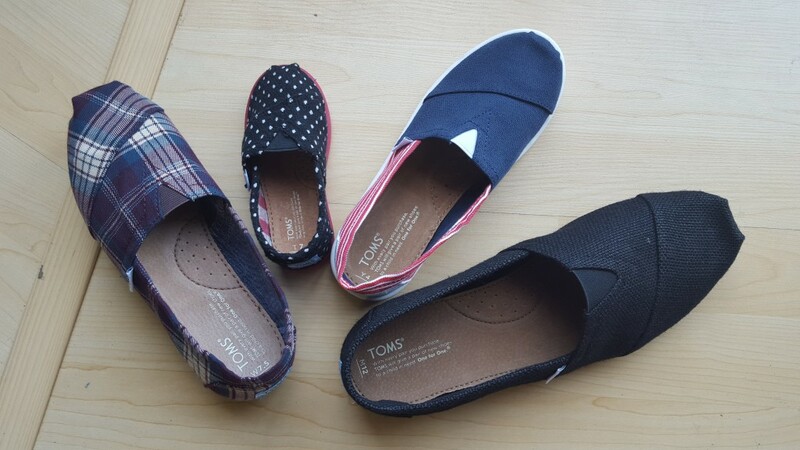 For instance, Slip-ons fit tighter at first but will loosen out with wear. In addition, high performance skate shoes tend to fit snugly. It could also help to know that all Vans shoes are manufactured in medium width so if width has been an issue in the past, it could benefit you to order a half size up to make up for the difference. Sometimes we find our feet falling between two sizes. One of the easiest ways to fix this issue is with a pair of insoles. Say you go to try on a pair of Van’s slip-ons but it turns out that an 8.5 is too small and a 9 is too big. Instead of throwing in the towel and settling for a less awesome pair of shoes, buy the 9s and an inexpensive pair of superfeet deluxe insoles to make up for the space. This article hopes to help you convert your Converse shoe size between the many different measurements used for shoes. Hopefully this short guide will help you choose the right size for your upcoming converse shoe purchase. First off, I pulled one pair of shoes from our massive warehouse so you can take a look at the sizing guide written on the outside of the shoe box. You will notice that the shoe size and conversion is actually indicated on the shoe box. Directly below the USA size the UK, EUR, and CM measurements are indicated. 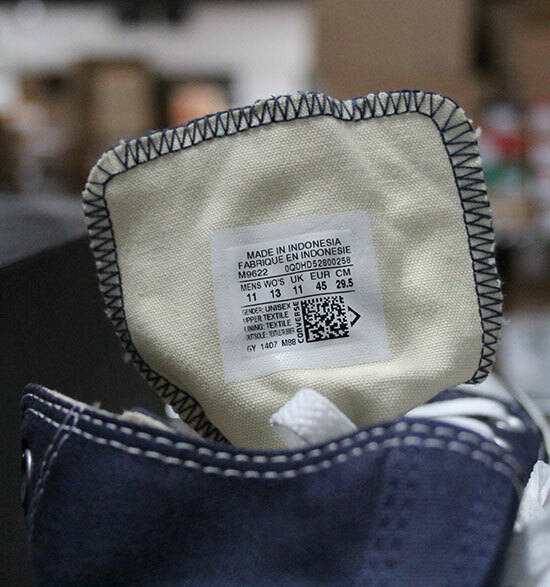 In addition, if you look at the inside tongue of the shoe, the same size conversion will also be indicated. In case you already own a pair and need to simply purchase a new pair– simply reference the markings on your existing pair to make your purchase seamless. 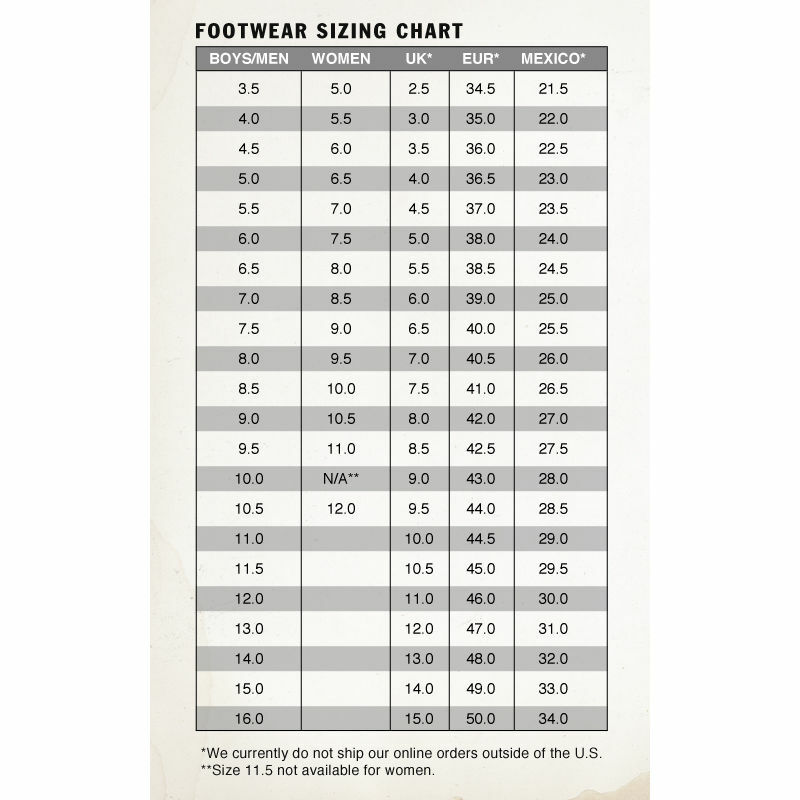 For those of you that do not already own a pair please refer to the sizing chart shown below. Please note that this size chart only applies to the classic chuck taylor style which is any of the converse shoes that follows this silhouette for the low top version and this silhouette for the high top version. The size chart does NOT apply to any other version of the shoe including: jack purcell, slip-on, skate line, etc… For the best fit we also recommend that you try on a pair at your local store. However if this is not an option, this chart provides the same information indicated on all of the shoe boxes. One thing you may notice is that the US and the UK version of the sizes are the same. For all US Shoe buyers we recommend that you read our blog post on Getting the Right Size. 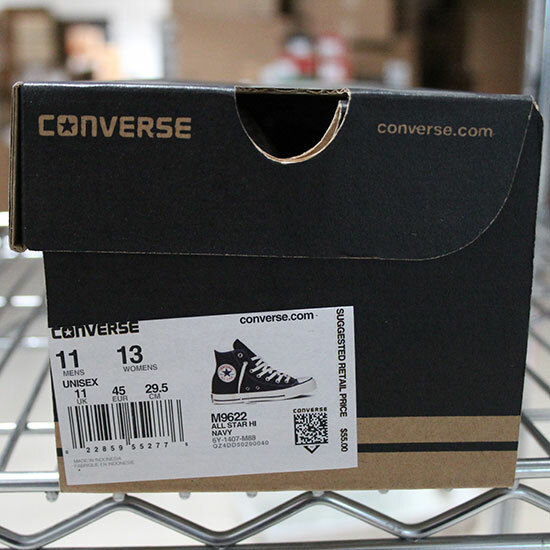 This article provides additional vital information for US converse buyers.